Liverpool University Press: Books: Millions Like Us? 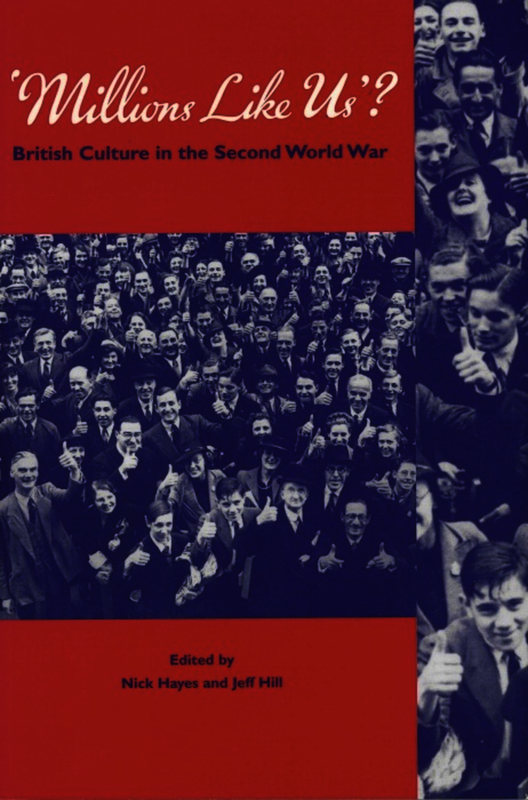 This collection of essays brings together the latest historical research on cultural production and reception during the Second World War. Its starting point is how this war was presented to, and understood by, contemporaries and how they differentiated it from earlier conflicts. Although this was particularly noticeable in the construction of ideas of inclusiveness and commonality where ‘the people’ pulled together to secure victory and a socially equitable peace, the essays also seek to explore the diversity of institutional and personal experiences. Essays look at major national institutions and industries such as the recently formed BBC, the culturally diverse and rapidly expanding commercial press, and the British film industry. The collection explores the role of the individual agent, with studies on established writers and composers, and how each related to the collective rationales of wartime. Nick Hayes is Reader in Urban History at Nottingham Trent University. Jeff Hill is Emeritus Professor of Historical and Cultural Studies at De Montfort University.